What Is New in Invisalign Technology? Have you been putting off getting needed orthodontic treatments because you worry about the way you’ll look with braces? You are not alone. The good news is that cosmetic dentistry now offers a discreet solution to align your teeth using the Invisalign new technology. Get the straight teeth and perfect smile you want without anyone knowing! We will start with a consultation including examining your teeth and showing you what Invisalign treatment can do for you. We will use precise digital scans without any messy impressions to design your personalized treatment plan. You’ll even get to preview your new smile! Once we finalize your digital plan, we will make your clear aligners using our state-of-the-art printing process based on your customized treatment plan. We will trim each one of your aligners for perfect fit and comfort. Now you’re on the road to achieving the smile of your dreams! Your series of virtually invisible custom-made aligners will gradually shift your teeth to place, achieving your desired smile. You will change your aligners based on the timetable set in your personalized plan. 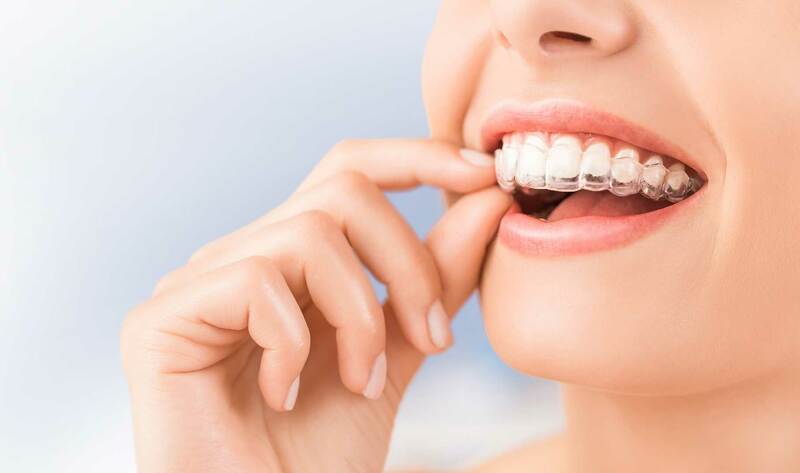 After your orthodontic treatment is complete, you will need to wear a retainer to make sure your teeth do not return to their original position. Invisalign will transform your life without impacting it. You can remove your aligners, allowing you to eat your favorite foods with no restrictions, or to clean your teeth. If you have a special occasion, you can remove the aligners and wear them when done. Even if you keep them on, nobody will notice! The revolutionary Invisalign aligners have been shown to reduce the time it takes to achieve the smile you desire. The proprietary SmartForce and SmartTrack material are effective in treating complex orthodontic cases by enabling us to move your teeth with precision. Contact us at Avalon Dental Care to learn more about what Is new in Invisalign technology, and how you can transform your smile. It’s never too late to get that brilliant, straight smile you’ve always wanted!